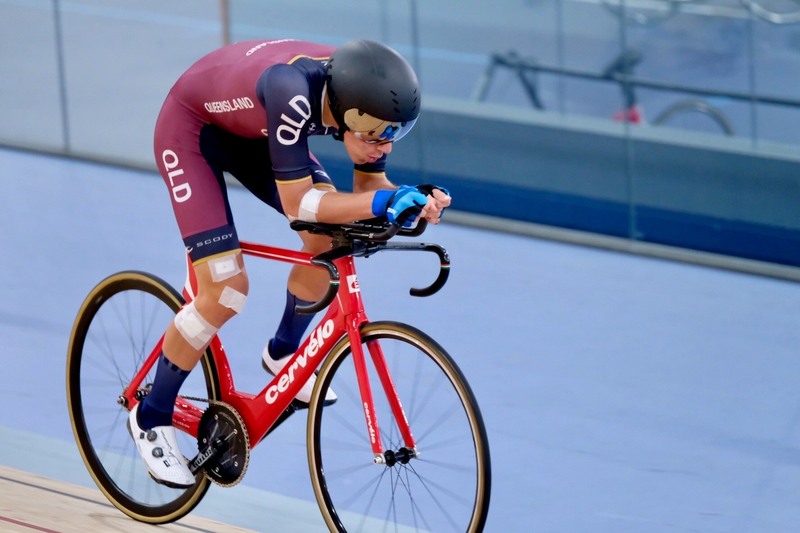 Year 10 St John’s Anglican College, Forest Lake student Mitchell Lohmann recently competed at the National Junior Track Cycling Championships at the Anna Meares Velodrome, Chandler. Mitchell achieved outstanding results in three events that he contested. After a heavy crash in the first event, he and his team mates recovered to win the Bronze medal in the Team Pursuit. The following day Mitchell was back up to achieve his goal of a top 10, finishing Eighth in the hotly contested Individual Pursuit. In the penultimate event of the carnival, the 80 lap Madison, he and his training partner Tyler, teamed up to take on the Nations best and secure another Bronze medal.